Sunny Afternoon Cocktail ~ Yes, more please! 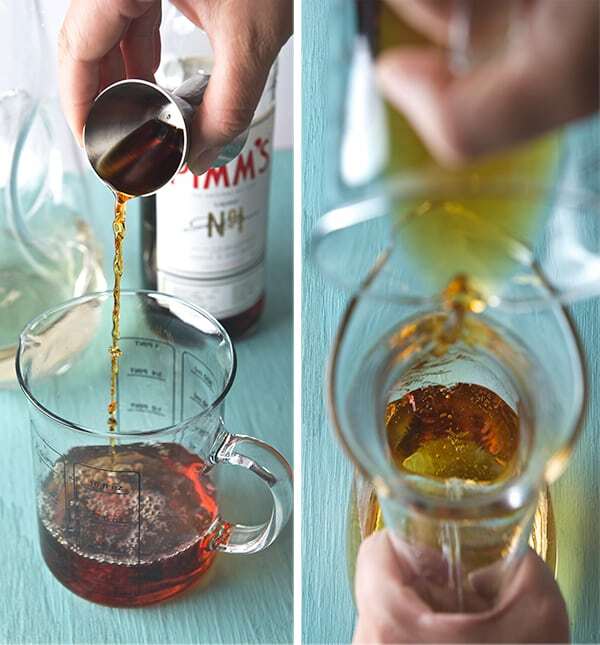 2.5 oz Gin / I used Plymouth or Tanqueray they complement well the flavors with out overpowering the drink. 1. 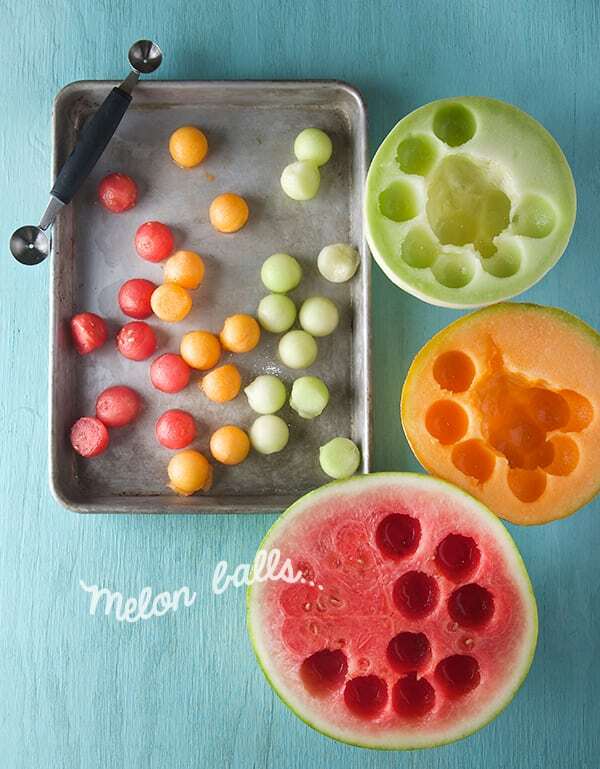 Using a Melon baller Make Melon Balls, place them on a tray on a single layer along with slices or quarters of limes and lemons. 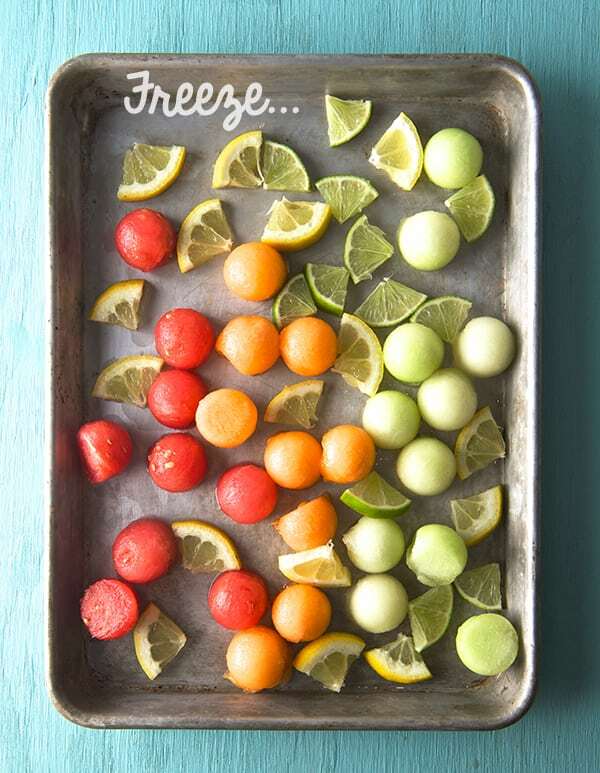 Place tray on freezer for at least 25 minutes, or until watermelon is partially frozen. 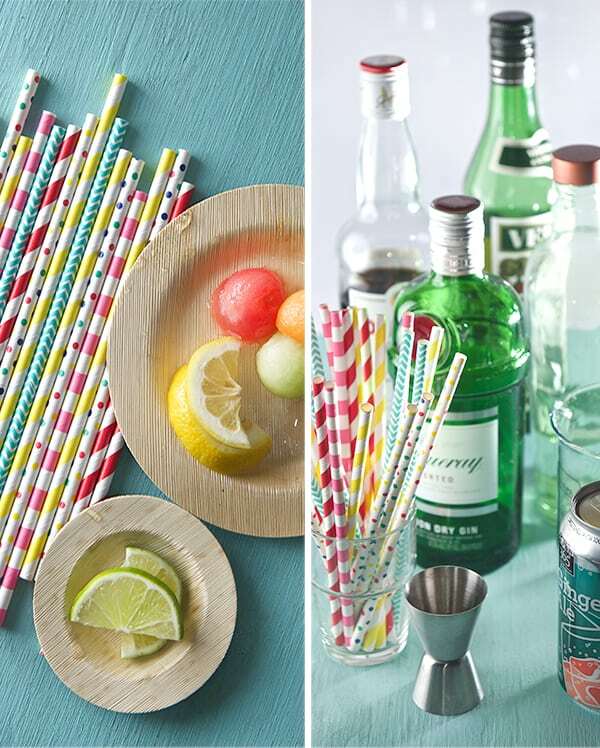 this step is key so your drink stays cool with out watering down as you drink. 2. 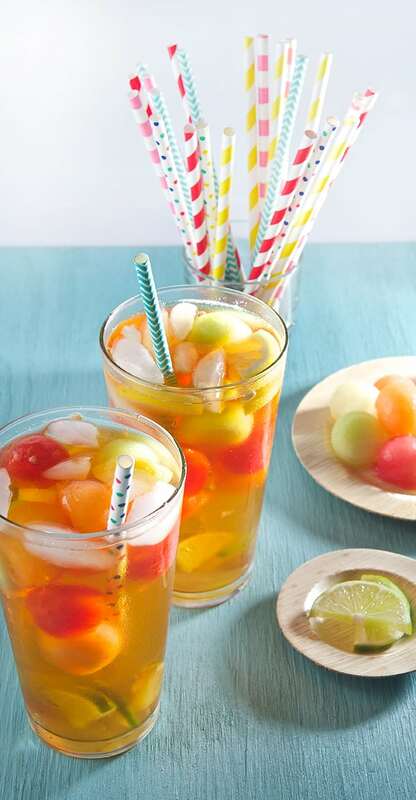 In a glass pitcher combine all the liquid ingredients, and 1 large scoop of ice, the frozen melon balls, lime and lemon frozen slices and stir well. 3. 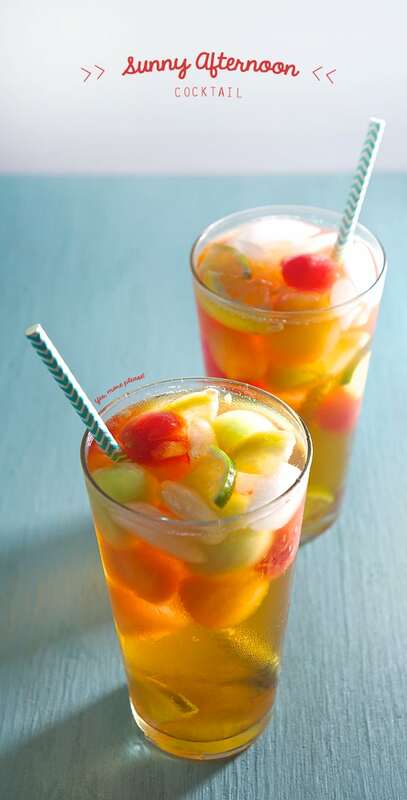 Serve in tall glasses with a drinking straw, and maybe some skewers on the side to pick and eat the fruit along as you zip your drink. Enjoy! Sip. Eat. Drink. 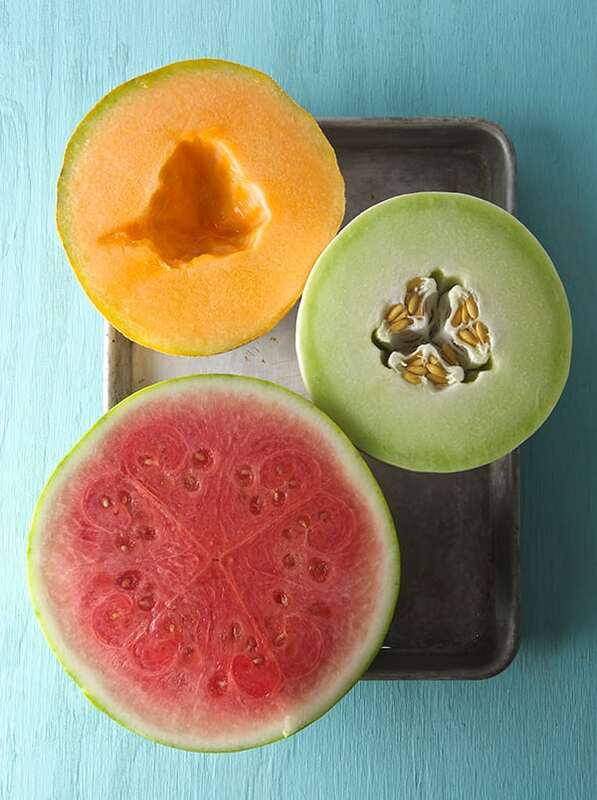 Refresh. Repeat.